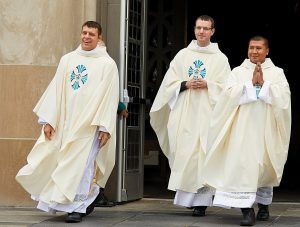 Fathers Aaron Becker, Peter Kieffer and Juan Pedro Roblez emerge outside of St. Joseph the Workman Cathedral as newly ordained priests. 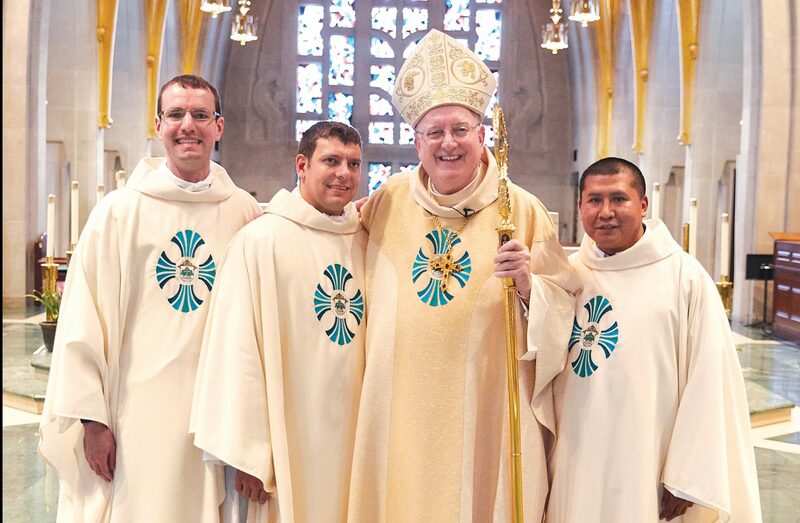 Fathers Aaron Becker, Peter Kieffer and Juan Pedro Roblez were ordained to the priesthood of Jesus Christ by Bishop William Patrick Callahan on June 24, 2017. After years of discernment and prayer while in seminary, the newly ordained have now joined the brotherhood of priests and look forward to their futures as associate pastors and chaplains in parishes and schools across the diocese. Though each has his own unique journey to answering the call, they all share a deep love for Jesus Christ and a desire to serve in His likeness and continue His work for the people of God. The call to the priesthood is a unique experience for many young men, but Father Aaron Becker knew from an early age that God had big plans for him. At age 2, Father Becker was in a farming accident where his head became caught in the tire of a large tractor. He said he felt the pull to become a priest from that time on, with support from his parents, Daniel and Bernice, and especially his grandma, Helen Schmit. 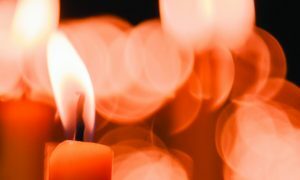 Growing up, he often considered the priesthood and would joke about it with his family. Father Becker’s first Mass at his home parish of Christ the King in Spencer. As he entered high school in Spencer, he was always involved at his church, Christ the King Parish, but he began to question his desire to become a priest and put the idea on the back burner.Father Becker recalls when he was in high school, Father Matt Marshall contacted the young Becker to see if he wanted to do a seminary visit. The first year, he declined, but the following year, Father Marshall called again and he agreed to see what seminary life was all about. He attended St. John Vianney College Seminary in St. Paul, Minn., but he also had the opportunity to attend the Pontifical North American College (NAC) in Rome. As ordination day arrived, Father Becker said he was trying to take in every moment of the day and was struck by the magnitude of it all. “I was able to pray through the ceremony, which I didn’t think I would be able to do,” he said. “Especially while laying prostrate, that was a special moment, I just cried through it.”Now as he adjusts to his first assignment as associate pastor of Our Lady Queen of Heaven Parish and chaplain at Assumption Middle School and High School in Wisconsin Rapids, Father Becker looks forward to getting to know his parishioners and meeting the students. 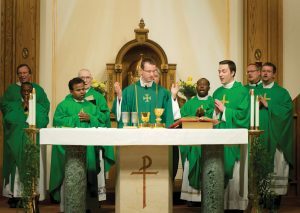 Father Kieffer’s first Mass at his home parish of Blessed Sacrament in La Crosse. Father Peter Kieffer grew up in La Crosse and is the youngest of four children of Tom and Maureen Kieffer. He grew up as a parishioner at Blessed Sacrament Parish and attended Aquinas High School, where he said the inspiration for exploring the priesthood really began. At the age of 15, a young Peter Kieffer was sitting in his religion class, where they were discussing the sacraments. During the lesson about holy orders, he said hearing about the graces priests receive when ordained really resonated. A few months later, he contacted the Vocations Office and started seminary the following fall. 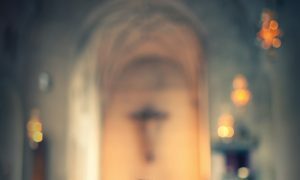 He looks back fondly at his time spent in seminary, but his experience in Rome further solidified his decision to become a priest. He completed his seminary in the United States at St. Francis de Sales Seminary in Milwaukee before being ordained in June. When ordination day arrived, he remembers it went by very quickly, but it all became real to him as his name was called. “I remember feeling very happy and smiling a lot and just a lot of peace. One moment I really remember was when my name was called and I began walking into the sanctuary. As I walked up, I looked and saw the bishop had a big smile on his face and that really stands out to me and represents the joy of the day. “I will never forget the moment when my hands were anointed with chrism,” he said. “That moment stood out and it became very real that God called me to be a priest and having my hands anointed made me feel like a priest. 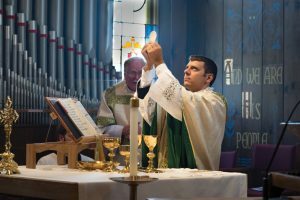 It was very powerful.” During his first Mass as a priest, Father Kieffer was surrounded by family members and parishioners he has known his whole life, and a group of his new brother priests were there to concelebrate with him. Father Roblez’s first Mass at Ss. Peter and Paul Parish in Independence. Though not a native son to the Diocese of La Crosse, Father Juan Pedro Roblez has been welcomed with open arms and has fully immersed himself here in Wisconsin.Roblez arrived in the diocese five years ago from Mexico after 15 years in the Diocese of Guadalajara. 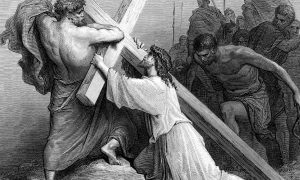 Though he became a priest at the age of 39, he had been dreaming of becoming a part of the church since he was 3. As one of six children to parents Jose Roblez and Luisa Baltazar, Father Roblez was the first of his family to leave home.At age 14, he left to attend a seminary boarding school. He wanted to go, so his parents drove many hours to take him, but he soon realized that they left him with 300 strangers and he soon wanted to leave. “I told them I need to return home, but I didn’t see my parents for six months,” he said. Father Roblez completed his formation in Mexico City, but soon a former schoolmate would make a suggestion that would change his life. After four attempts, he came to the diocese on the recommendation of a seminary classmate who prompted him to pray and ask God for guidance. With only having had a month of English classes while in seminary, Father Roblez’s best English practice came from serving in parishes in Wausau, Marshfield and Independence, which allowed him to get to know the culture and the people. Father said he feels very fortunate because he has his new parish family here in the United States and his family and parish back in Mexico who are always praying for him. 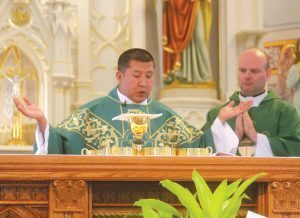 Father Roblez looks forward to his first assignment as associate pastor of St. Patrick Parish in Sparta and St. John the Baptist Parish in Summit Ridge, and knows that working with the people of God will be the most rewarding part about being a priest. The Ordinands kneel before the bishop and diocesan priests to receive the Laying of Hands.